Malta is a sunshine-trapped island jewel in the heart of the warm Mediterranean Sea, between Sicily and the North African coast. Holidays in Malta create unforgettable memories filled with sun kissed beaches, crystal clear water, stunning architecture, historical sites built to amaze, while also boasting international restaurants and a bustling nightlife. Malta offers the perfect holiday destination to suit all ages and travellers. Choice Holidays offers a wide range of hotels in Malta to suit all budgets and needs on an all-inclusive, full-board, half-board, bed and breakfast, and room only or self-catering basis, with the option of staying in a hotel or villa. Our hotels are in various locations in Malta, giving you the choice to pick out a location that would best suit your holiday desires; beaches, historical, nightlife or if you prefer to be within the local culture or a complete mix. All you have to do is select a flight departing from you preferred location in England, as our offer extends to all flights that fly directly to Malta Luqa International Airport - letting you relax in the sunshine within a few short hours. Choice Holidays has been your one stop travel service since 1983, offering flights, accommodation, package holidays and more at an affordable price and always with a smile. We are Insolvency protected, giving you the security in knowing your holiday is protected with us. 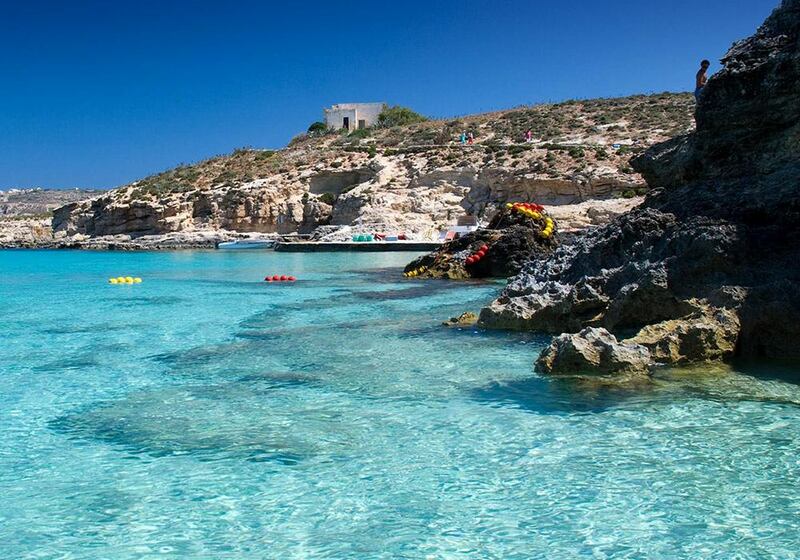 Put your worries aside and book your holiday in Malta with us! Malta's only tour operator whose reservations and office staff are actually based in resort, making us a genuine Malta specialist. The holidays and flights we sell are protected. Choice Holidays is also a member of the Association of British Travel Agents (ABTA). We make paying for your holiday a breeze. You can book your holiday with a low deposit and spread the cost in manageable chunks. Malta holidays are memorable for all the right reasons. Fascinating history, stunning scenery, amazing beaches and an eclectic mix of cultures and character are just some of the treats that make this a first class holiday destination. With over 300 days of sunshine a year, English as a common language and all the culture and entertainment you could wish for, it’s no wonder Brits are taking more vacations on the Maltese islands than ever before! Located in the Mediterranean Sea between Sicily and North Africa, the country is living proof that great things do come in small packages. With a picturesque rugged coastline dotted with amazing beaches, stylish harbour towns and historic monuments, there is something here for everyone. There are lots of historic sites, beautiful towns and villages, a thriving capital city in Valetta and lots of places to visit. With some of the best diving in the Mediterranean and lots of secluded coves, there is plenty to explore too. Your holiday in Malta can be as relaxed or as active as you like. Sun yourself on one of the Blue Flag beaches or explore tranquil traditional towns. Watch the world go by in one of the many cafes or dance the night away in the clubs of Paceville. The beauty is that you never have far to go whatever you want to do! Choice is the place to find the cheapest holiday packages - we can offer the best prices on many hotels in Malta - guaranteed! Malta, an archipelago in the central Mediterranean between Sicily and the North African coast, is a nation known for historic sites related to a succession of rulers including the Romans, Moors, Knights of St. John, French and British. It has numerous fortresses, megalithic temples and the Ħal Saflieni Hypogeum, a subterranean complex of halls and burial chambers dating to 3600 B.C.E. These are only some of the attractions which the islands can offer. The country is a member of the Schengen Agreement. There are no border controls between countries that have signed and implemented this treaty - the European Union (except Bulgaria, Croatia, Cyprus, Ireland, Romania and the United Kingdom), Iceland, Liechtenstein, Norway and Switzerland. Likewise, a visa granted for any Schengen member is valid in all other countries that have signed and implemented the treaty. But be careful: not all EU members have signed the Schengen treaty, and not all Schengen members are part of the European Union. This means that there may be spot customs checks but no immigration checks (travelling within Schengen but to/from a non-EU country) or you may have to clear immigration but not customs (travelling within the EU but to/from a non-Schengen country). Visitors from outside the EU, including Americans, must fill out a landing card, available on board some arriving flights (sometimes) or in the entrance hall of the airport from the small box between the customs agents. What are the best Malta holiday destinations? The Maltese Islands may be small but they offer a lot in a beautifully compact package. Each destination offers a mixture of old world charm, a culture where civilisations influenced the islands over eons and miles of dramatic coastlines. Warm seas, sandy beaches and relaxed bars and restaurants are everywhere too. 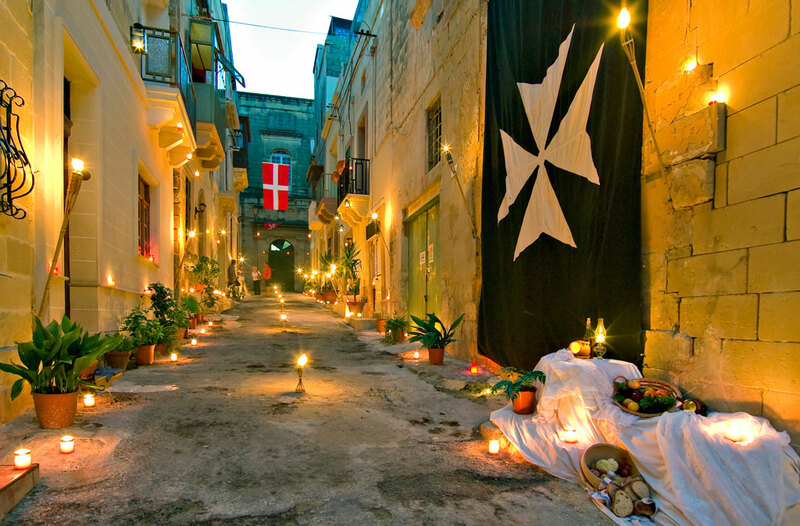 Valletta (known locally as il-Belt, or the City) is the capital of Malta and of the Knights of Malta. It is also European Capital of Culture for 2018. Measuring less than a kilometre square, this amazing city is packed full of history, culture, shops and restaurants and makes for perfect city breaks. 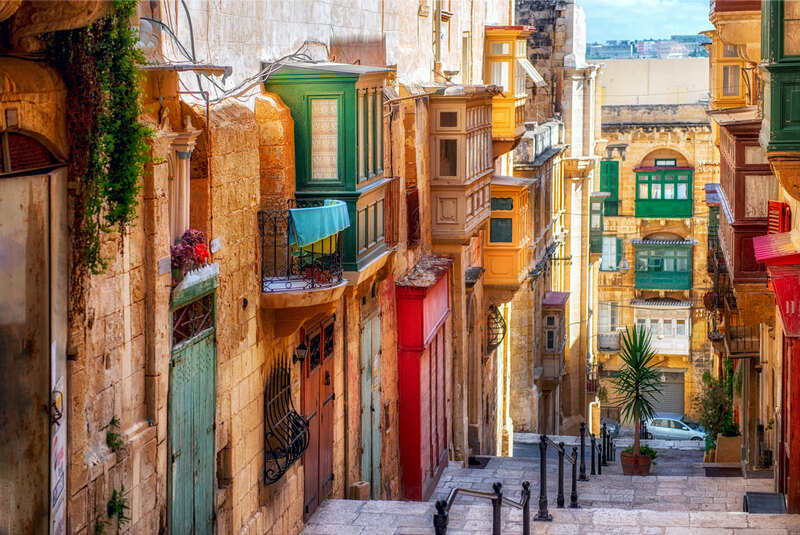 Popularised by its narrow streets with painted balconies, the plays a pivotal role in any Malta holiday. If you'd like to know more about what to do when you're visiting Valletta, which hotels to book, where to eat , things you must not miss and everything else you need to know read our Essential Valletta Travel Guide. Highlights to see in Valetta include St John’s Co-Cathedral, Upper Barrakka Gardens in the bastion, Grand Harbour, Lascaris War Rooms, The Grand Master’s Palace, Museum of Archaeology and lots more besides. Any holiday to Malta has to take in the capital! The Valletta skyline, as seen from Sliema is iconic - and we have started this article, by giving you the most beautiful of scenes. 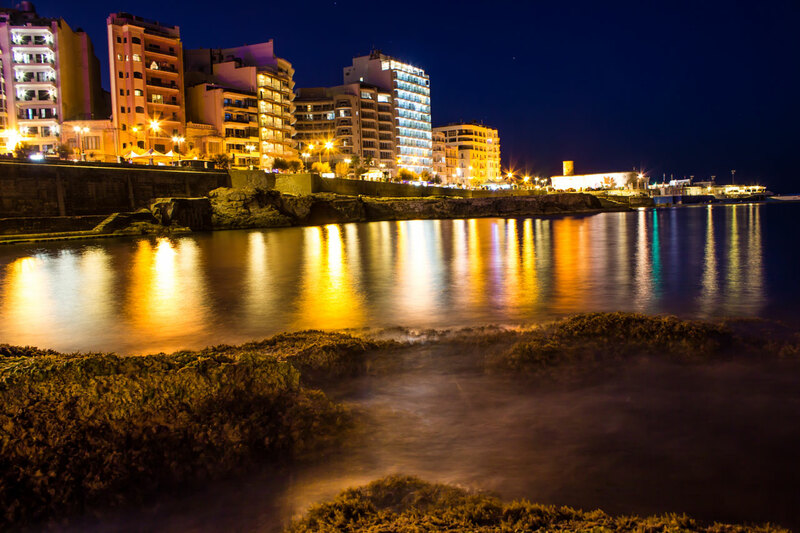 Those who like the hustle and bustle and an ideal city breaks would do well to opt for a Sliema vacation. While not as full of history as Valletta, and only 15 minutes from the capital by bus, (or a 5-minute ferry ride), Sliema is perfect for those looking to enjoy plenty of great shopping destinations in a district which reknown for it's nightlife, bars, restuarants and plenty of accomodation to choose from. Qawra and Bugibba, both of them also seaside villages are also top tourist hot spots. Both lying in the St. Paul's Bay area, in the north of Malta, they're absolutely bustling in summer. Bugibba is where the majority of holidaymakers choose to book their accomodation if you're looking for beach holidays. Stylish, modern with a historical twist, characterful and friendly. Just some of the many reasons it is one of the most popular holiday resorts on Malta. Comprised of an historic town and a Blue Flag beach, the town effortlessly blends the ingredients of a perfect all-inclusive holiday with the history and character it is so famous for. Visit our Essential Bugibba Travel Guide here. Bugibba town centre is full of Maltese charm. Overlooking St. Pauls’ Island, the town features lots of restaurants, bars, cafes and culture. Relax on the beach or use the quaint wooden bridges to reach the azure blue sea which is ripe for enjoying the warm Mediterranean or some of the many watersports available. Qawra is a purpose built resort town set in the northeast. Built around St. Paul’s Bay, the area is full of modern high rise buildings that run along a scenic promenade that stretches from Qawra to Bugibba. Qawra is what you imagine when you plan your package holiday to Malta. Sun, sea, sand and sublime surroundings. The Blue Flag beach is ideal for soaking up the sun while the water is perfect for water skiing, jet skis and scuba diving. Despite the modernity, the original character of the town remains with the historic Qawra tower still watching over the sparkling bay. Mellieha Bay is a laid-back resort that has evolved from a small fishing village around 30 minutes from Mdina. Overlooking Għadira Bay, this is where you come for a relaxed Malta holiday. Calm, relaxed and tranquil are just some of the terms people use to describe Mellieha Bay. Mellieha is made up of a quiet town set on a hill above the bay. It has a central church, quaint shops, restaurants and cafes. The town overlooks the bay and is a 20 minute walk or short bus ride from the long golden sands of the bay itself. For more details and travek advuce about Mellieha, we'd suggest reading our essential travel guide. Paceville is part of St. Julian’s located in the north of the town. Known primarily for its nightlife, Paceville is the ideal destination if you want to spend your holiday dancing the night away. The character is lively and vibrant with a friendly atmosphere that makes you feel warm and welcome wherever you go. Served well by hotels, bars, restaurants, cafes and shops, Paceville has a cinema complex, bowling and a whole lot more. Most famous for its nightlife, the bars and clubs are some of the best the country has to offer. St. Julian’s features in many Malta holiday deals. It is a lively, characterful town on the eastern coast. Comprised of four distinct areas, there is a lot of charm for such a modest location. Spinola Bay is for foodies and those who love fresh seafood or authentic Maltese cooking. Paceville is where the night owls go to party. St Georges Bay is a very cosmopolitan area with a lovely golden beach with a modern shopping centre. Finally, Portomaso, the harbour cut into the rocky cliffs offers a glimpse of traditional Maltese life mixed with the modern. Each area offers something a little different, yet combined, they display the charm and character of Malta that we all enjoy. Locals are very welcoming, the beaches and coastline are amazing and there is literally something here for everyone. Sliema is a very popular holiday destination thanks to the combination of sun, sea, shopping and sensational scenery. By day, the beaches of Sliema are popular with both visitors and locals. The five kilometres of coastline with cool blue water and lovely sunshine are what vacations in Malta are all about. Once again, we've created an Essential Sliema Travel Guide - all the things you need to know before you book your stay here: where to stay, good hotels (for any budget), where to eat and things you need to do when you're here. The town is full of unique shops, shopping malls such as The Point at Tigne Point and The Plaza, relaxed restaurants and friendly bars. By day, the town is a fantastic place to enjoy the slower pace of life in sumptuous surroundings. When the sun goes down, the sophisticated nightlife for which this town is known comes alive. Lively, yet classy the mix of bars, pubs and clubs along Triq ix–Xatt by the harbour are the place to be. 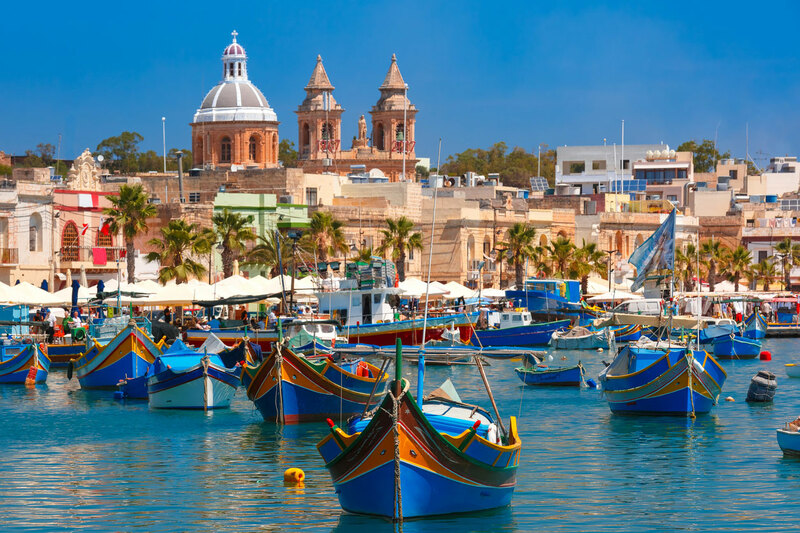 Marsaxlokk, at the very tip of the island, is the last real fishing village, which you shouldn't miss. Traditional colorful fishing boats line the harbour, the market can be found on some days, selling fish which are in season and you can probably find a few fishermen repairing their nets when they're not out at sea. Gozo is Malta’s sister island and is much more rustic and rural. Life is slower on Gozo and life is still lived the old way. Seasonal industries, rural communities and a rugged landscape typify this most beautiful of islands. Believed to be Calypso's isle Homer's Odyssey, there is an atmosphere of tranquillity from shore to shore. Accessed by a ferry from Ċirkewwa to Mgarr harbour, Gozo is a 25 minute ride but could easily be a continent away. Despite only being a couple of miles away by sea, the character is completely different. Where many visitors take package holidays to Malta, they stay in farmhouses or apartments on Gozo, although there are a few hotels so plan ahead. With some world class diving, hidden beaches and miles of rugged coastline, there is a lot to recommend holidaying or visiting Gozo. Click here to learn more about Gozo Holidays. The climate of the Maltese islands is typical of the Mediterranean and is strongly influenced by the sea. The archipelago has a pleasantly sunny climate with a daily average of around 12 hours sunshine in summer going down to 5 to 6 hours in mid-winter. Summers are hot, dry and very sunny. Day-time temperatures in summer are often mitigated by cooling sea breezes. Spring and autumn are cooler, except when the occasional Scirocco wind from Africa brings unseasonally high temperatures and humidity. Winters are mild, with the occasional short cold spells brought about by the north and north-easterly winds from central Europe. Annual rainfall is low, averaging 568mm a year. Bathing in the sea is quite possible well into the ‘winter' months, and the peak beach season can last until late October. City breaks can be taken at any time of year thanks to the Mediterranean climate with warm summers and mild winters. Average temperatures are around 23C with over 300 days of sunshine per year. It rains occasionally but only really in winter. If you're interested in knowing what the weather is like throughout the various months of the year (i.e. the best time to visit Malta) - we've got all this nailed down in our that linked article. Thanks to its location, Malta has a perfect climate. Short mild winters, long dry summers and no extremes. July and August are the hottest with highs of around 31C and 12 hours of uninterrupted sunshine. As it is never far from the sea, a cool sea breeze helps keep you cool and the clear blue Mediterranean waters are always warm but never hot. Winter sees lows of 15C and occasional rainfall which is still much warmer than the UK! Malta offers a wide variety of hotels. From luxurious all-inclusive hotels, small boutique hotels to rustic farmhouses, there is something here for every Malta holiday. Modern high rise hotels, historic buildings converted to their purpose or something completely different, it is known for diversity and for being cosmopolitan. From package holidays to Malta to all-inclusive packages, there really is a lot on offer here. If you want to visit, direct flights to Malta are available from London, Manchester, Glasgow and Newcastle. At only three hours flight time, the island is very accessible. Malta International Airport (MLA) is the only airport. Located next to the villages of Luqa and Gudja, public transport and taxis are all available to take you the three miles to the island’s capital Valetta, or direct to your destination. Peak season for Malta holidays is between July and August. Festival seasons runs May to September, making this a very popular time to visit the islands. Thanks to a favourable climate and year-round popularity, any time is a good time to visit. Winter is the optimum for cheap holidays to Malta and to enjoy more active family holidays thanks to cooler temperatures and great deals. 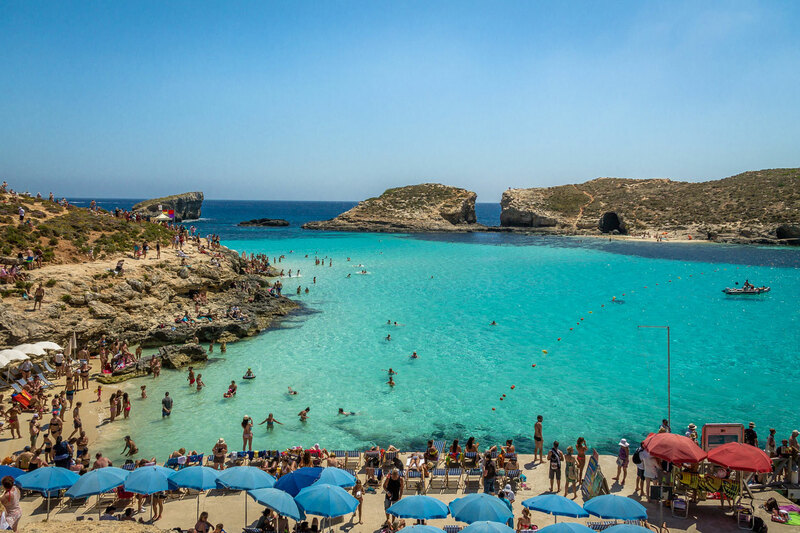 If you're looking for cheap holidays to Malta, ChoiceHolidays offers packages which include Malta direct flights as part of the deal - our partnerships with leading airlines allow us to give you the best overall deal when compared to other travel agents. What better way to unveil the secrets of Malta before you arrive than by learning from locals? The Choice Holidays blog has been created specially to give you the inside track on where to go, what to see and when to visit our beautiful islands. It will also highlight any special Malta holiday deals we offer! As Malta was ruled by the United Kingdom from 1800 until independence in 1964, the British influence is strong. English is the official second language after Maltese and uses the British system of law, administration and education. It is one of the many reasons why we Brits love to holiday in Malta. It is familiar, yet completely different at the same time. The sunshine and lovely surroundings don’t hurt either! As a full member of the European Union and signatories of the Schengen Agreement, the British do not yet need a visa to visit the islands. You can visit for as long as you like with just your passport. With direct flights from major UK airports and a mere three hour flight time, it is an excellent place to visit. As a full EU member, Malta has adopted the Euro and is the only legal tender. There are banks and currency exchanges in the major towns and credit cards are accepted in most places. American Express is not quite as readily accepted but Visa and Mastercard are. Getting around is very easy so filling your Malta holiday with sightseeing is a must. The island is well served by buses that use new air conditioned vehicles run by the Malta Public Transport. There are also taxis in most major towns that will take you wherever you want to go, while booking cabs through local companies such as eCabs is very comfortable - with prices agreed in advance. The airport is also well served by buses and taxis. If you’re holidaying in Gozo, ferries run regularly from Ċirkewwa to Mgarr harbour. The journey takes around 25 minutes. Buses run to the ferry terminal from Valetta regularly. As it lacks a passenger rail network, the country has an effective island-wide bus network. Weekly tickets are available and useful for getting around, with prices being low by EU standards. Malta Public Transport maintains an online Journey Planner which provides information and route maps. In most cases, buses will not run past 23:00. Buses are generally regular between the main places of interest, but may not run precisely according to schedule. The island's main bus station is located outside of the city walls of Valletta and will provide links to all cities and attractions. Be aware that traffic can often get heavy during the day, causing delays. Many of the buses are equipped with digital plans and automated announcements signalling stops. In some circumstances, these may not be operating. Tickets can be bought on board from the driver. Bus stops generally contain information on timetables and routes. It is necessary to wave or otherwise indicate for a bus to pull over at a bus stop if you wish to board, and the 'stop' button on board will indicate that you wish to depart. As of July 2015, a two hour ticket costs €1.50 during winter, €2 during summer and €3 for night services from the driver. Prepay cards are available at bus terminals, post offices or online. Weekly tickets are priced at €21 for adults and €15 for children, although tickets for buses on Malta are not valid in Gozo and vice-versa. Tourists visiting Malta should apply for a tal-linja bus card online around 3 weeks before visiting to be able to benefit from cheaper bus fares. This is simply one of the ways to see everything that Malta has to offer. Seeing the island from an open topper bus is a great way to appreciate this magnificent island. The open top bus tour starts from the Sliema Ferries and from Valletta. One can 'Hop on and Hop off' at his or her leisure at conveniently located stops along the route. There are a number of hop-on hop-off providers which offer a practical tour service linking all the most popular places of interest and plenty more. Each tour includes an multi-lingual commentary. A free harbour cruise is given with each ticket. Renting a bike is not a very common and popular practice but it doesn't cost much, and offers enough flexibility to explore. Bicycle rental shops are present all over the island but it is always better to book them from beforehand via their websites so as not to be disappointed. Cycling is an original and fun way of discovering the countryside and towns, known for their very small size. It is a good idea to cycle on the west, in the areas of Dingli Cliffs and Fomm ir-Rih as they are far from congested cities and offer a pleasant view. It should be known however that most roads are inherently dangerous for cyclists; most Maltese motorists are not friendly towards cyclists and there are no bicycle lanes. It is best to stick to country roads making sure to rent mountain bikes as country roads can get bumpy and uncomfortable for city bikes. In summer, do not go cycling 11:00-16:00 as the heat is unbearable. Official white taxis are the ones that can legally pick you up off the street. They have meters that are uniformly ignored, figure on €15 for short hops and not much more than €35 for a trip across the island. There are now Government approved fares for taxis from the airport ranging from €10-30. For cheaper airport transfers and local taxis try using our own transfer service. Our rates are lower than white taxis but the service must be prebooked. Renting a car is a fine way to see the country, since it's cheap and driving conditions have improved greatly in the last ten years. Having your own car allows you to make a lot more of your trip and discover the many hidden charms these small islands have to offer. It is always best to pre-book your car rental online as this works out cheaper than booking when you arrive. Malta has very low rates for car rental -- pre-booked car rental for a week costs about as much as a taxi to and from the airport. Any driver and additional drivers must take with them their driving licenses in order to be covered for by the insurances provided by the local car rental supplier. There is GPS coverage, however do check with your rental company as to whether they make this available to you or not. Popular opinion states that the GPS mapping isn't altogether that accurate, where certain routes planned on the GPS, will send you up one way streets without warning, best to use common sense in conjunction with this technology. Also the Maltese can be a very friendly bunch of people when giving directions are concerned. Unlike most of Europe, but just like the UK, traffic drives on the left. There is the regular ferry service between Ċirkewwa in Malta and Mġarr on Gozo, it goes every 45 minutes in the summer and almost as often in the winter. A return ticket cost €4.65 (Standard passenger fare). There are also irregular services to Comino. The boat charter industry has grown considerably over the last few years. The country's favourable tax regime for commercial yachting and its central location in the middle of the Mediterranean sea has meant that large, famous charter yachts - such as the Maltese Falcon - and a whole range of small and midsized yachts are now available for day and week charters. The Grand Harbour Marina has become the principal centre for bare boating (self-hire yacht chartering). Valletta is relatively small and very safe for walking - as are both Mdina and Birgu, other old cities of Malta. A bus tour or car hire is more recommended for Gozo though. Trekking and Cycling are an excellent way to discover the beautiful scenery around the cliffs and Mediterranean beaches. The last options gives you the opportunity to witness beautiful sunsets and breath taking views. The electrical supply is 230 volts /- 10%. The frequency of the supply is 50 hertz. The three-pin rectangular plug system is used, as in Britain. Adapters are very easy to find. The official languages are Maltese (a Semitic language closely related to Maghrebi Arabic) and English. Italian is widely understood and spoken, and many modern words in Maltese are borrowed from Italian. Some people have basic French, but few people can speak fluent French. By law, all official documents are in Maltese and English and many radio stations broadcast in both languages. The vast majority of Maltese citizens speak English fluently, although this less true among the older generation. The majority of people will however speak Maltese in the home and Maltese placenames may be difficult to pronounce. People are however very willing to help. Maltese people often speak with a slightly different intonation which may sound louder than usual to other English speakers. Churches often hold separate Maltese and English services, and information on times for each will be posted at the entrance. Multilingual electronic guides are available at a number of attractions. Like Arabic, Amharic, and Hebrew, Maltese is a Semitic language, though it is written in the Latin alphabet and has borrowed a substantial amount of vocabulary from the Romance languages (particularly Italian). The closest living relative of Maltese is the dialect of Arabic spoken in North Africa, which is known as Maghrebi Arabic or Darija (spoken in Morocco, Tunisia, Algeria). Since Maltese has a distant relationships to Hebrew and Amharic, if you speak any of these three languages, you'll recognise some similarities. It also has substantial English elements in it, particularly for modern words. Knowing a few phrases in Maltese may be useful. Malta has the euro (€) as its sole currency along with other countries that use this common European money. One euro is divided into 100 cents. While each official euro member issues its own coins with a unique obverse, the reverse, as well as all bank notes, look the same throughout the eurozone. Every coin is legal tender in any of the eurozone countries. Major currencies other than the Euro are not acceptable as an over the counter currency. In the past, they were widely accepted and changed on the fly at restaurants and bars. So if you have dollars or pounds, it's best to change them at the plethora of exchange bureaus or banks across the island prior to going out. The crime rate is generally considered to be low. Tourists should however take normal precautions, guarding against pickpocketing in busy areas and some overcharging scams. In Paceville there is a small level of alcohol-fuelled violence in the evenings. This is a holiday destination and rowdiness in bars and nightclubs is to be expected, as is the case in most European cities. There is generally a low police presence. While a bit reserved, Maltese people are friendly, generous, and helpful in nature. The population is a predominantly Roman Catholic country where faith is an important part of society. Carousing by tourists, while tolerated to some extent, is not looked on very favourably, especially outside of St. Julian's and Paceville. Some shops may be closed on Sundays. However increasingly discussions of sexuality, contraception and other issues are less taboo than they were twenty years ago. Maltese people tend to speak more loudly than the mainlanders, so they may sound like they are shouting at you even if the volume is normal. Dress respectfully when visiting churches and other important heritage sites. As a guide, remove any hats and sunglasses and make sure your knees and shoulders are covered. Some churches, especially those on popular package tours, provide shawls and/or skirts for any inappropriately-dressed visitors. You may be refused entry to a church if there is a service going on that has already started so make sure you arrive promptly if you wish to see them. If you must leave during a service, do so discreetly. Avoid loud or intrusive behaviour in such places. Maltese tend to take politics seriously and they are always interested to talk about ways to improve democracy and good governorship. Many towns have Nationalist and Labour Party buildings which operate as bars and social clubs. It is considered rude to shorten a Maltese name. If someone introduces themselves as Joseph or Mariella, don't call them Joe and Mary. 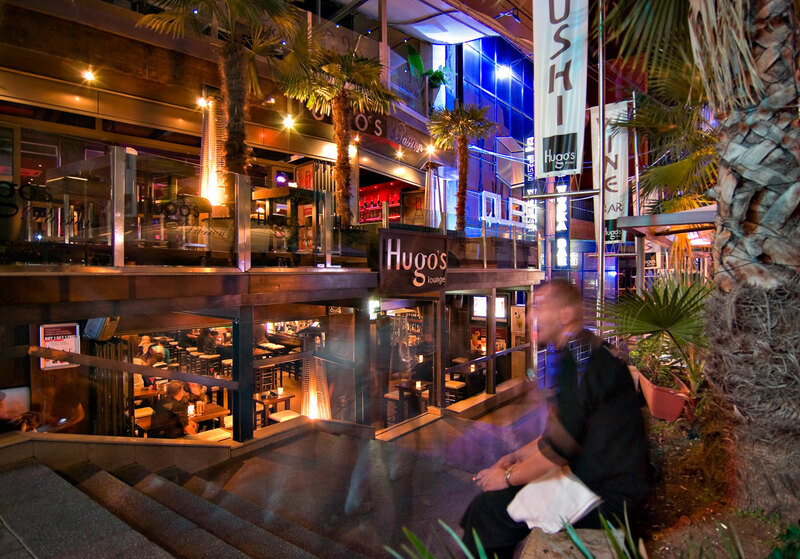 Smoking is banned indoors in bars and restaurants, although many have roof terraces or outside areas covered by a canopy where it is readily acceptable: it may be difficult to tell where the 'indoor' element of the building ends and the 'outdoor' begins. In general, ashtrays will be placed where smoking is allowed. The ancient capital of Mdina, also known as the Silent City, rests at a high point in the heart of the island. Surrounded by the scenic town of Rabat, this fortress is one of the island's finest jewels, boasting architecture, history and a quality cup of coffee with a splendid view. Mdina gets very peaceful and romantic in the evenings when the day trippers leave. Valletta is similar in that it boasts a rich history, only being the modern capital, it is very much alive and much more modern, serving as both a shopping area during the day and offering an array of museums and cultural sites. Of particular note is St John's Co-Cathedral, built by one of the earlier Grandmasters of the Knights Hospitaller. It contains the various chapels of the Knights' langues, with Caravaggio paintings, tapestries and various relics of immense value to the Maltese heritage. The very floors of the Cathedral are the tombs of the most famous knights of the Order of St John, and a crypt, though off-limits to tourists, hosts the bodies of some of the most illustrious of Grandmasters, including the city's founder, Jean de Valette. Must see attractions include the Unesco World Heritage sites such as the Hypogeum and the megalithic temples that can be admired on both Gozo and Malta and are the oldest in the world! In Gozo, a rural atmosphere is predominant. Various celebrities purchase homes in Gozo, owing to the quiet and relaxing nature of the location. Visitors will be interested in taking a look at the impressive geographical feature of the Inland Sea, carved out by the Mediterranean. One is also obliged to visit the Citadel, Gozo's version of Mdina. Gozo is situated 5km north west of Malta and can be reached by a 25 minute crossing from Cirkewwa, the harbour of Malta. For a look into more traditional Maltese life, the seldom seen south is a possible option for visitation. Townships like Ghaxaq often escape public notice, but some of the island's finest churches lie in the south. The many churches are testament to the style and design of their times. Many towns in the north were stripped of their culture due to rapid urbanisation, but this has been felt less in the south of Malta. If you visit in summer, be sure you visit one of the town/village feast. Every town or village has at least one feast dedicated to a saint. The feast usually lasts for one week (in most cases from Monday to Sunday), with its peak being usually on Saturday. During this week, the village or town will be decorated with several ornaments and work of arts such as statues, lights and paintings on tapestry. In most cases, the feast would also be furnished with fireworks, both air and ground (which are quite spectacular and rather unique). Every feast has its own characteristics and rivaleries between certain village feasts are quite well-known. Some of the most famous feasts are those of Our Lady of the Lily in Mqabba (third Sunday of June), Saint Philip in Zebbug (second Sunday of June), Mount Carmel in Zurrieq (Sunday before the last of July), Saint Mary of Imqabba, Qrendi (on the 15th of August), Saint Catherine in Zurrieq (first Sunday of September) and the Nativity of Our Lady in Mellieha and Naxxar (on the 8th of September). Organized tours to village feasts for tourists are available as well. During the month of April, a fireworks contest occurs in the Valletta/Floriana area, where different fireworks factories compete with each other exhibiting their finest works both ground fireworks and air fireworks. It is spectacular and above all its free to attend to. Quite a few wine festivals are organized during summer, two of which are organized in Valletta and one in Qormi. It is a great experience to taste several Maltese wines at very cheap prices. (In the Qormi festival (September) and Delicata wine festival (August), you buy a 12 euro cup, and you can drink as much as you like; in the Marsovine wine festival (July), you buy a cup and 14 tokens for €10). A beer festival (Jul-Aug) is also organized in Ta' Qali. Finally, Malta's megalithic temples are the oldest free-standing structures on Earth, and one should not forget to take walks in the countryside. The most popular tourist destinations of Sliema and St. Julians probably have the least to offer as regards a taste of Malta, though they continue to be the most frequented. They are the most modern of locations, with most old buildings having been knocked down due to the monstrous construction industry fueling the economy. The main nightlife area can be found here, especially in Paceville. The whole country is covered by three mobile phone networks available: Vodafone, Go Mobile, and Melita Mobile. Due to international agreements with providers across the globe, Vodafone, GO and Melita are sure to be apart of your carriers roaming plan. Internet cafés and Wi-Fi zones are quite abundant with connection rates peaking at 30Mb/s. 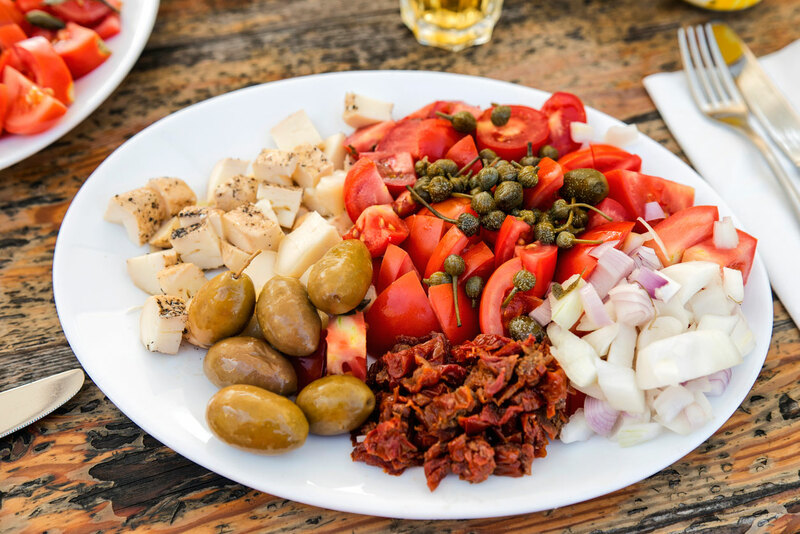 Maltese cuisine is as diverse and as fascinating as the country’s history and culture. Influenced in the same way, by the many civilisations who have called Malta home, the cuisine reflects every stage of the island’s development. The character of the cuisine is a mix of Mediterranean, North African and local Maltese tastes. The traditional food reflects the four seasons and the rustic origins of the island. Typical dishes include stuffat tal-fenek (rabbit stew), Kapunata (A traditional mixed salad) and Bigilla (a broad bean dip). As a place with a rich seafaring culture, seafood features highly in the diet. All this delicious food can be washed down with a traditional non-alcoholic Kinnie made from bitter oranges. There's also has a wide variety of cafes, restaurants and eateries serving delicious dishes from around the world. Thanks to the idyllic climate, anytime is a good time to holiday in Malta. Long warm summers and short mild winters make this the perfect antidote to the great British weather. Summers are long and dry with July and August seeing the warmest temperatures. This is also the busiest time in terms of tourism. If you love hustle and bustle and lively beaches and towns, this could be ideal. January and February are ideal for more active holidays such as hiking, biking and camping as more reasonable temperatures prevail. February also marks the arrival of carnival with the main celebration in Valetta running for an entire week from the 9th of February. The 21st to the 29th April is the annual Firework Festival and is a great time to visit. Held in the amazing Grand Harbour of Valletta, the combination of great weather, early season and amazing displays make this a popular time to holiday in Malta. For a more detailed, month-by-month breakdown of when is the best time to visit Malta, click here. As well as an amazing place to enjoy a cheap beach holiday, Malta is also a place steeped in history. Made up of an archipelago collectively known as The Maltese Islands, Malta has a history and culture spanning over 5000 years. From the dawn of civilization, it has played a part in world events. Relics of a rich history of culture and diversity are everywhere. From Neolithic temples to fertility, Phoenician and Carthaginian relics to Roman and Byzantine artefacts, Malta as seen and participated in it all. In 60 AD St. Paul was shipwrecked on the coast and brought Christianity to the island. The Arabs brought their own culture in 879 AD, then the Normans, the Aragonese, the Sovereign Military Order of St. John of Jerusalem, the French and then the British. All have ruled the islands at one time or another and each has left their mark. It is from this history that the unique cultural and historical mix that makes up the island comes from. The country is now a republic and an independent member of the European Union. Malta is home to three UNESCO World Heritage sites, the City of Valletta, the Megalithic Temples and the Ħal Saflieni Hypogeum. There are also seven sites on the Tentative World Heritage List. They are Coastal Cliffs, Qawra/Dwejra, Cittadella, Knights' Fortifications around the Harbours of Malta, Mdina, Maltese Catacomb Complexes and Victoria Lines Fortifications. There are also some ancient temples, some dating back thousands of years. They include The Ġgantija Temples on Gozo, Ħaġar Qim, Mnajdra and Tarxien, The Ta' Ħagrat and Skorba temple complexes. That is a lot of history for such small islands! The main health risk as a visitor is the fierce sun in the summer, which can scorch unsuspecting tourists. Apply sunblock liberally. For ambulance, fire or police dial 112. The main hospitals are Mater Dei ☎ +356 2545 0000 and Gozo General Hospital in Gozo, ☎ +356 2156 1600. If you’re looking for bargain holidays in Malta, you’re in the right place. Choice Holidays offers a wide selection of cheap holidays to Malta. We can offer the best prices on a select number of hotels - that's a guarantee! The url has been copied to the clipboard successfully!